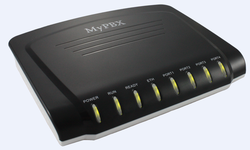 The new compact, feature rich PBX for every-day use. Ideal for small offices and businesses with fewer than 30 users, MyPBX SOHO is an affordable, yet fully-featured embedded hybrid IP PBX with ISDN BRI and PSTN connectivity, providing a cost-effective solution for your business. working hard to make better office communication experience for you.